This is not a licensed product. It is, however, hand crafted using licensed fabric. I am not affiliated with or sponsored by the creators of this character. 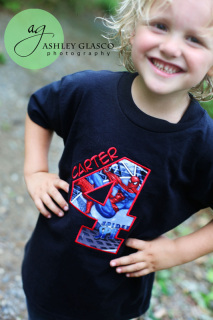 What little guy doesn't dream of being a super hero?? This makes the perfect shirt for that superman birthday party. 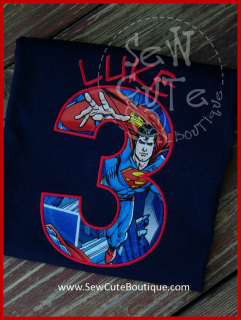 This comes standard on a navy blue short sleeve shirt with red stitching. If you prefer a different color shirt, please contact me. Please indicate age, name and shirt size. SIZING: Please tell me the size he normally wears. If I have to use a brand that runs small or large, I will contact you. Price shown is for SHORT SLEEVES. If you would like long sleeves, please purchase the "Long Sleeves Upgrade." Please provide the following information in notes to seller during Paypal checkout process: Age, Name, Size, Date needed by and any changes from standard (above). Please check my current shipping time. In general, please allow 2 to 4 weeks for your order to be ready to ship. 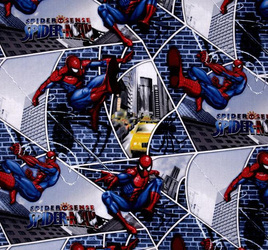 This is not a licensed Marvel Entertainment product. It is, however, hand crafted using licensed Marvel fabric. I am not affiliated with or sponsored by Marvel Entertainment. What little guy doesn't dream of being a super hero?? 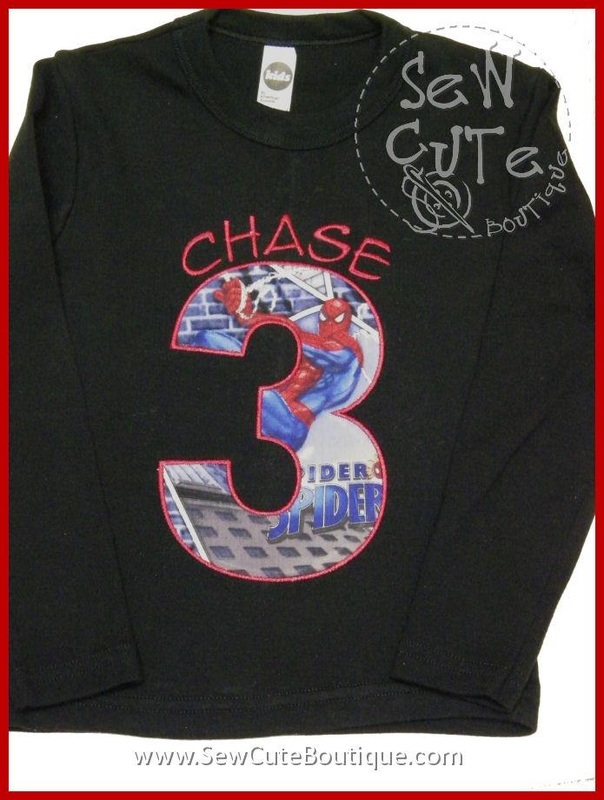 This makes the perfect shirt for that spiderman birthday party. 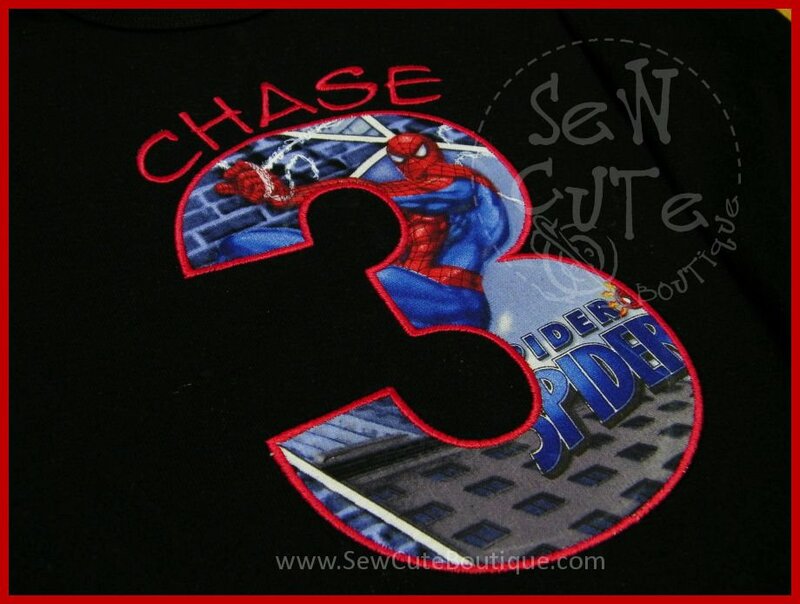 This comes standard on a black short sleeve shirt with red stitching using the Spiderman "city wall" fabric as shown. Please indicate age, name and shirt size in notes to seller during checkout.